Contains the content that was part of the sign-up campaign held before launch, adding Winged Hussars Unit Pack (cosmetic) and National Monuments Pack (cosmetic). Contains the content of Extreme Edition, adding Star and Crescent (flavor pack), Horsemen of the Crescent Unit Pack (cosmetic) and Conquest of Constantinople Music Pack (music). Contains the pre-order bonus content Purple Phoenix (flavor pack) and 100 Years War Unit Pack (cosmetic). 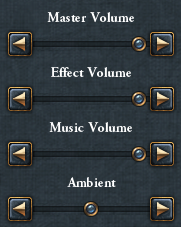 Music packs add new music created after the game's release to the game's soundtrack. A full list is available here. Cosmetic packs add graphical enhancements to the game, whether by additional unit models, landmarks or portraits. A full list is available here. This list of DLC contains only DLC-packs available on release, as well as expansions, immersion packs ("something between a full expansion and a small graphics pack") and flavor packs (even smaller "mini expansions"). A complete list with more detailed descriptions is available on the EU4 Wiki here. Other players join via "scan LAN" button. Dedicated Server files are included in the installation folder. Download your most recent graphics drivers. Since the introduction of the new launcher, alt-tabbing out of the game and back into it changes the system resolution and consequently makes the game unplayable. This can be prevented by bypassing the launcher via a terminal command. To enable mods, add -mod=$MOD where $MOD is the filename of the mod you want to enable. To disable DLC, add -exclude_dlx=$DLC where $DLC is the filename of the piece of DLC you want to disable. Download PyParadox following the installation instructions here. The dependencies are pip and PyQt5. They are installed with sudo apt-get install python3-pip python3-pyqt5. The launcher itself is installed with sudo pip3 install pyparadox. The launcher can be run with pyparadox-qt eu4. 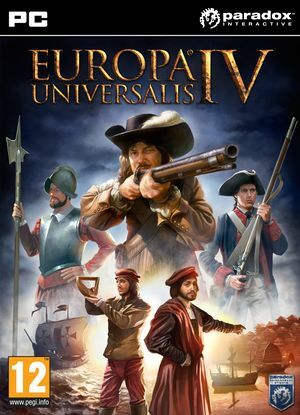 Right-click on Europa Universalis IV. Click on Set launch options... in the General tab. If your version of Linux has significantly newer libraries than the Steam Runtime, the launcher may not apply the correct Qt theme. "The game allows up to 256 players to participate in the same multiplayer game, but that limit is usually only tenable on a high-speed local area network (LAN). Paradox suggests games played over the Internet are likely to only support up to 12 players."